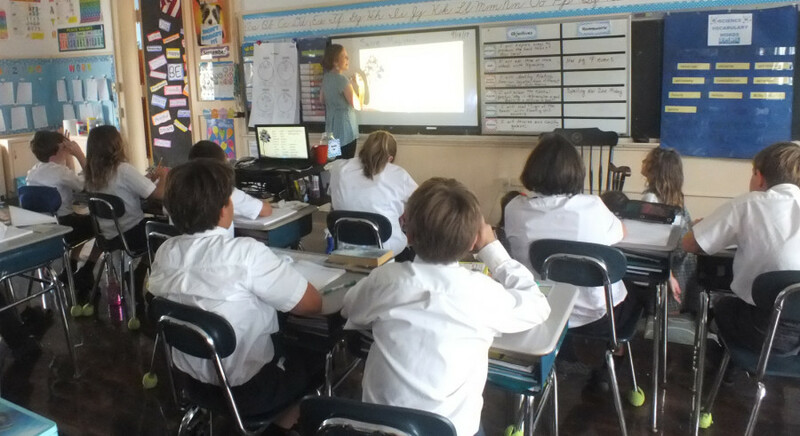 Catholic Classical Education is a successful method that is historically based and rooted in the Catholic faith and tradition. It educates based on instilling a sense of wonder, curiosity, and love of learning in students along with a desire to seek what is true, good, and beautiful. Classes are naturally integrated so students see the relationships between what they are currently learning, giving them a greater understanding and foundation in all subjects. Students excel in the classical method because it builds on their natural intellectual curiosity and development. Children learn in different ways at different ages. In the earlier grades, their brains develop in such a way that they can memorize and be taught large amounts of information. This period is referred to as the “grammar stage” of education. As the students develop, the methods of teaching them do as well. The “logic stage” of education begins as students approach middle school, when their ability to reason develops. Logic, critical thinking, debate, and reasoning skills are taught while delving deeper into the information students mastered in earlier grades. This type of education provides a foundation for advanced studies in all disciplines. The focus is on students becoming responsible citizen-leaders of the world who continue to grow in wisdom and knowledge while retaining a love of learning throughout their lives.